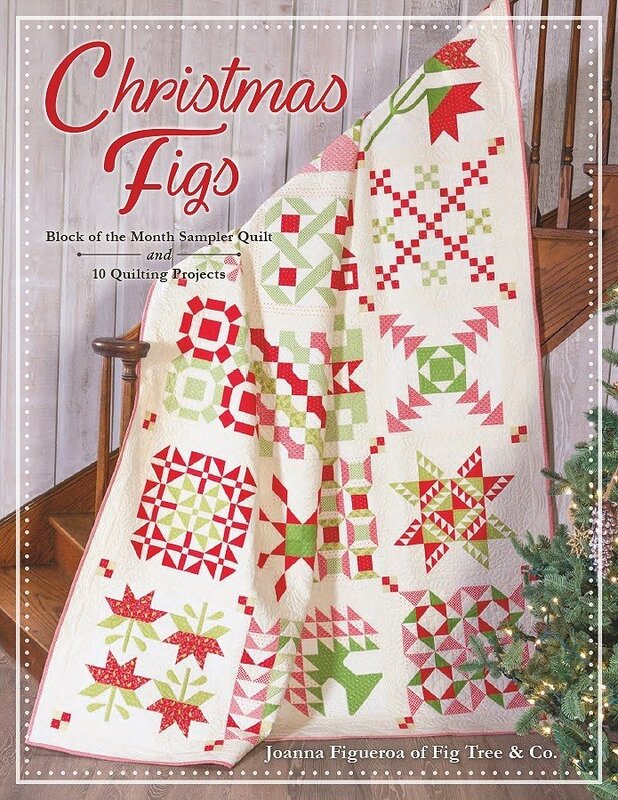 The Christmas Figs Block-of-the-Month is a beautiful sampler created to spice up the holidays with 20 lovely, traditional quilt blocks. Members of this block-of-the-month club won’t want to miss the one hour demo every 3rd Saturday where we will teach each block step-by-step. We’ll help you work through the best techniques, trouble shoot, answer questions & offer advice. Finishing at 78 ½” x 96 ½”, this quilt pattern is featured (along with 10 additional projects) in Fig Tree’s new book collaboration with It’s Sew Emma Designs. *Kits will feature the new Christmas Figs fabric collection from Moda and will be available on a first come, first served basis. Christmas Figs book by Joanna Figueroa. Fig Tree & Co's Christmas Figs fabric needed for quilt top & binding.